Automating social media is one of those things you need to do when you become serious about internet marketing. But you have surely come across tens of tools, created to set specific tasks on autopilot and then save precious time and efforts. It may seem very useful, but still, many marketers are using a traditional approach to give that personal touch. I think the line separating the automation from the spam is very thin, thus, you need to pay attention how you use it. And there are many who are always searching the latest tool to save time on social media and improve productivity. 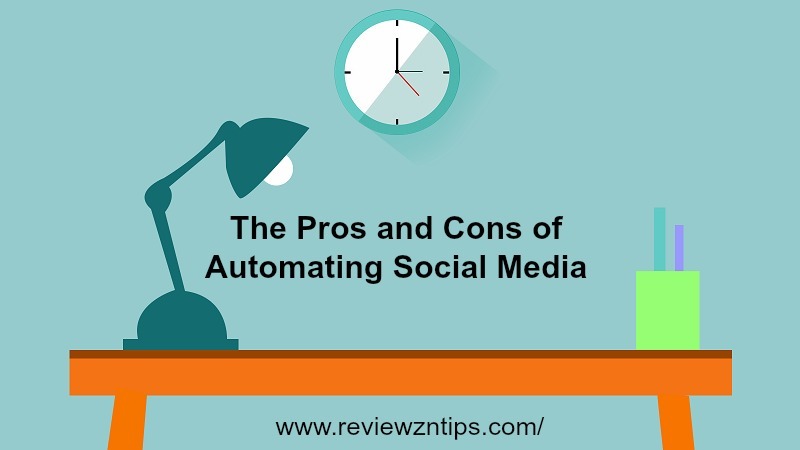 What do you think are the pros and cons of automating social media? This is exactly what I will cover in the below paragraphs. Writing has been always my biggest challenge, since when I started blogging. English it not my native language and I need to invest a lot of time to try to write awesome content, without doing any spelling or grammar mistakes. I’m convinced the more you write, the better writer you become. It’s indeed important practicing everyday. I feel comfortable publishing a new article once a week, it gives me time to do research and producing a great post. Since when I started automating some social media tasks, I was able to invest more time doing other things, such as writing more, securing my blogs creating new projects, working on my other properties and building new connections. Improving your productivity is the main benefit of automating social media (of course, doing it the right way, as many still think that automation does actually give any positive results). Aside Hootsuite, I’m using a few other tools to automate some social media tasks and I must say that they are worth. Platforms such as JustRetweet and ViralContentBuzz or apps like CrowdFireApp are helping me promote my content and improve my social media audience. I reached a good number of followers on Twitter with my main account (@ErikEmanuelli, +31k), and I’m re-building very fast the audience of Reviewz’n’Tips (@ReviewznTipscom, +1,2k). If you organize your time and use specific tools, also engaging with your followers, then you can keep improving your social media following, which also means more traffic and chance of converting them into your customers. Our time is limited and we have so many commitments. In one day you can work as much as you want, but you still have just 24 hours (considering the ones you dedicate to sleep). This is when automation comes in handy. A wrong attitude is posting 2-3 updates at the same time, because you can get much more by scheduling those posts at the right time of the day. I’m sure you noticed what is a good time for your followers. Well, you should schedule your updates of content in those moments. If you are not using Hootsuite like me, there’s another great app many folks are promoting: Buffer (read this interesting post on SocialMediaExaminer). If you do it the right way, then automation can save you a lot of time and efforts, improving your productivity. You may think that when leaving specific tasks to those apps and tools available, you may slowly start falling into a hole. It can happen. Those moments, when you just think what to do next. However that is generally just for a few minutes (at least, for me), after which I can go back to my work. You can avoid those moments by using checklists, or the tools available to manage your time and commitments. Of course it all depends on you: if you are used to do nothing, whether you are automating or not, it doesn’t really matter. Either way, you won’t make any progress. If you use automation, you can’t engage directly with those who are asking you something, or tagging you in real time. Well, aside automating your social media tasks, you should still take some time to dedicate to talk with your audience. Sharing some interesting posts of other bloggers, answering to comments, or simply saying hello to people and wishing a good day. Your audience will notice that, and will see that you are real. They will also reply you back, mentioning you and your content. I’m sure these principles can work for you too! As mentioned, I’m using HootSuite PRO to automate some of my social media marketing, while I’m still doing manually a lot of other tasks. In my experience, automation is a good thing and if used properly, is a great marketing tool, saving time and worthless effort. Are you automating social media? Please leave your views in the comments below, and don’t forget to share the post, if you liked it! Joining Many Social Networks, Is It The Right Strategy? I think, make a quality-good content is better. So you can share your opinion at social media. Writing quality content is the first step for building a successful business online. Hi Erik. First let me say that I admire you for working hard to learn a second language. I took some Spanish in high school, but I’ve never become proficient. It’s on my bucket list, but don’t know if I’ll live that long, LOL. I love your take on social media. I try to be as real as I can be on social media. I do use HootSuite for content curation, but I still try to spend some time at least 5 days a week personally talking with people. If I don’t do that, how do I know anything about my followers? I appreciate your tips in this post. I can speak Spanish better than my English. I guess because my native language is Italian, and In terms of lexical similarity Spanish, Italian (and French – which I studied too) are considered sister languages. Glad to read you’re using HootSuite too. I alternate automatic posts to manual engagement with my followers, as you do. Thanks for sharing your views and visiting. I use HootSuite off and on, mostly if I know I’m going to have a really busy week or will be travelling and I may forget to post. Otherwise I post a lot real time when a thought strikes me. I sometimes schedule a few days on Facebook then I’ll supplement with real time posts as well. It’s all a work in progress! glad to read you’re using HootSuite too and you’re keeping it real. I just visited your blog and left a comment at one of your posts. Glad to see this website is live… I hadn’t visited Reviewz ‘N Tips in quite some time – upset, to say the least, that Daniel is nowhere to be found! Good writing, good tips. Keep it up :). But I hope nothing serious happened to Daniel. Thanks for the kind feedback, and I look forward to talking with you again. Happy to see you with new domain!! Thanks and all the best for new domain!! do you like the layout I created for the new Reviewz’n’Tips? Yes, automation is good. But one should not abuse of it. Thanks for the kind words, Anant. The layout is a personalized theme, based on Genesis Framework. He also gave me a couple of suggestions on colors and font. Impressive that you were able to learn a second language and your writing really is awesome and thought provoking. I also like to say that there is debate about whether Social media automation is a good thing but I like your points which are true. I use automation in my Social Media Strategy but I also I am a fan of engagement. Thanks for sharing this post. Take Care. Good to hear you confirm my points. In social media, engagement is the way to build relationships. Thanks for commenting, have a good one. Hi Erik, I use to think English is your first language. On social media automation, your points are true. But I will love to ask if there is a way to accelerate followership I am really struggling at it. Any idea? Once again thanks for this post. if you refer to Twitter, the easiest way is to follow in bulk a large number of users in your niche, so to have a percentage of them (usually around 20%) following you back. After 4-5 days, you can clean the unfollowers (using free online tools like Tweepi or Crowdfireapp) and then start again. It is good to weigh social media automation by keeping in view pros and cons because this will paint a balanced and neutral picture. I personally think that social media posts should be regulated partially manually and partially through automated programs like you have mentioned in a thorough detail. I like HootSuite to follow and track things- my tetweets and analttics, but the truth is- I feel more comfortable with Doing it my self. Also I use BuzzBundle for finding other things like content. 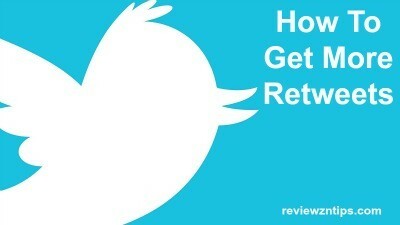 I like been “around” when I tweet and interact more with people- less automated for me! Thanks for sharing. “manual” social activity will definitely gives more results than automating social media.